Whether it’s your first time in The Peach State’s capital city or you are a habitual visitor, Atlanta has something for every kind of tourist — picking peaches during the annual harvests, becoming a wine and art connoisseur, learning how news and media work at CNN, exploring the miles upon miles of the BeltLine or spending relaxing days at Skyline Park and Lake Lanier. The endless choices can make it difficult to decide where and how you spend your time in Georgia’ Big Peach, but regardless of why you’re here — a business trip, driving through, a quick weekend getaway with friends or a family vacation — there is something for you to do. The Atlanta BeltLine is comprised of a 22-mile transit system, 33-miles of trails, around 2,000 acres of new and restored green space, seemingly infinite public art installations and thousands upon thousands of preserved historic buildings. It is one of the largest urban redevelopment programs in the United States, which is evident when you begin exploring it. The BeltLine regularly hosts fitness and wellness classes throughout the week, like skateboarding and yoga, that are free to participate in. You can also take a complimentary walking, bus or bike tour that stops at all of BeltLine’s highlights. One of the BeltLine’s biggest focal points is the Ponce City Market. It is a central place to “gather, eat and shop” located in a renovated Sears, Roebuck & Company building. It holds a weekly farmer’s market, where you can buy local, artisan foods and crafts. Skyline Park is located on the top floor of the Ponce City Market and in the heart of the Atlanta BeltLine. The 360-degree view of the city is the perfect place for all-ages fun and offers activities for a wide range of interests — including drinking, dining and games. Everyone, especially younger crowds, can enjoy the Skyline Slide, midway games, the Heege Tower ride and mini golf. While the kids play, adults can enjoy Skyline’s beer garden, Nine Mile Station, which boasts dozens of craft brews and libations. Skyline Park also regularly hosts concerts, spoken word performances and activities like yoga. The Roswell Art District is located in the Roswell suburb of Atlanta. It is home to both fine and contemporary arts from regional, national and international artists. The galleries are spattered along the streets, where you can also find quaint bistros and boutiques. At the start of every month, artists gather and galleries open their doors for the First Friday Art Walk. You can hop from gallery to gallery by foot or take the free shuttle bus. Ford Smith Fine Art is home to Ford Smith’s world-renowned landscape paintings. Smith’s work is a reinvented version of the landscape painting and emphasizes optimism over the normally darker themes present in traditional landscapes. His gallery is home to all of his major paintings, as well as some unique pieces. Taylor Kinzel Gallery features paintings, sculptures, glassworks, pottery and jewelry from over 25 emerging and established, all-Southern artists. The gallery is chalked full of original works and also offers commissioned pieces. Raiford Gallery hosts over 400 artists, with pieces ranging from turned wood to jewelry and ceramics. The contemporary art, craft and jewelry gallery has been at the heart of the Roswell Art District for over 20 years. However, Jude Raiford, the owner and a gold- and silversmith, has been working in Roswell for more than 40 years. It’s called “Hotlanta” for a reason, especially during the summer when temperatures soar above 90 degrees Fahrenheit (32 degrees celsius). Thankfully though, cooling off is only a 45-minute drive from downtown Atlanta to Lake (Sidney) Lanier. The reservoirs’ biggest draws are its water activities and the trails that snake along its 692 miles (1,114 km) of shoreline. On-the-water highlights include lazing at the beach, gliding down the waterslide, paddling or zooming across the lake and casting a fishing line. Off-the-water highlights are taking a walk or going on a hike, hopping on a bike or a horse for a ride and flying through the towering maple and pine trees on the zip line. Though most people go to Lake Lanier to take a refreshing dip or go on a hike through the forest, there are countless activities beyond the water and trails. It is the perfect place for an overnight trip, or you can spend the day eating at one of over 100 restaurants, shopping for the perfect “breezy beach look” and having a drink at the bars — don’t miss grabbing a margarita and splashing around at Jimmy Buffett’s infamous Margaritaville at Lanier Islands. Some of the Southern United State’s best wines are only a 60–90 minute drive from downtown Atlanta. The city of Dahlonega, which is nestled in the foothills of the North Georgia mountains, is home to dozens of award-winning regional, national and international wines. The city is known as the capital of Georgian wine because it has the most wineries, vineyards and tasting rooms in the state. Frogtown Cellars is regularly considered Georgia’s most awarded winery in national and international competitions. While relaxing on one of the porches or decks and eating food from the bistro, you can enjoy both red and white wines that are produced from the over 22,000 grape vines on the property. Wolf Mountain Vineyards & Winery has established itself has a premier East Coast wine producer. The fine wines have won over 150 gold medals in major national and international competitions and are best sipped with Sunday brunch or while viewing the vineyard’s rolling hills. Three Sisters Vineyards & Winery is Dahlonega’s first family farm winery. While sampling the wines that Three Sisters has had over 20 years to perfect, delve into Southern and Georgian folk art and pottery or take in the beautiful countryside. Though some might not think of touring CNN while visiting Atlanta, it is one of the more popular tourist attractions in the city. It offer insights on modern news and media within one of the most prominent networks in America and the first 24-hour news station. The tour will take you behind the scenes of global news while it’s in the making. The extended tours will take you inside the newsroom or even let you watch a live broadcast. This is the perfect educational activity for kids and adults alike. The prices vary depending on which tour you select. However, most people recommend the standard Behind-the-Scenes tour, which is $15. The Fox Theatre is a staple in Atlanta’s music and performing arts scene. For over 90 years, it has lead the city with more than 150 Broadway musicals, concerts and other performances a year. Some of The Fox Theatre’s biggest acts have included Christina Aguilera, The Book of Mormon (Broadway Musical) and Hamilton (Broadway Musical). Whether enjoying a musical, a play, a concert or the symphony, it is recommended that you start your night at one of the nearby restaurants before heading to the performance. Tickets are purchased per performance or with season tickets. Every New Year’s Eve, over 100,000 people flood downtown Atlanta for its own version of the Times Square ball drop — a giant, 800-pound peach that descends as the new year gets closer and closer. Once the New Year has officially started, a spectacular firework show begins that rivals any other display in the nation. The party starts hours before the peach drops with performances — past performers include TLC and Jeezy — food and confetti. The Peach Drop is considered the best New Year’s Eve party in Atlanta. And because it is free, the crowds show up early. Many people recommended getting a party bus so you can begin celebrating even earlier. Don’t forget to get there before the Peach Drop starts to get the best spot. As soon as April hits, every kind of artist imaginable gathers to show their works at the Atlanta Dogwood Festival. The Dogwood Festival is often considered heaven on earth for both amateur and professional art collectors or just art enthusiasts. The festival specializes in fine art — like sculptures, paintings, pottery, jewelry and photography. However, all types of art are welcomed and represented among the vendors. Beyond art, the festival hosts a 5k with mimosas, a barbeque, live music, midway games and a kids zone. The weekend-long event is free, but donations are welcome. With over two miles of vendors, the Yellow Daisy Festival is the ultimate arts and crafts event. Along with giving artists a platform to sell their works, the award-winning festival focuses on promoting its participating artists, and past featured artists include Margarita Warner and Lulu Kaufman. Beyond the hundreds of artisans, Yellow Daisy Festival also offers live music and local food. Held every September, the four-day festival charges $20 for a full day parking permit and access to the festival itself is free. Music Midtown is one of Atlanta’s largest music festivals and can draw over 300,000 festivalgoers. The two-day festival hosts a diverse lineup of over 30 artists on four stages. Past lineups have included Post Malone, Foster The People and Robert Delong. Like many music festivals, Music Midtown also features local bites — vegan, gluten free and the classic meat options are available — a ferris wheel with views of the Atlanta skyline and interactive sponsor booths. Tickets can only be purchased for both days and options include general admission, VIP experience and super VIP experience. It’s a well-known fact that Atlanta is a driving city. With its countless vineyards, art galleries and outdoor activities, choosing the right transportation for your trip is essential. It can take hours to drive from one destination to another and public transportation and parking can be limited, especially during the holidays or when events are happening. Using an Atlanta limo service to take you to your next activity is the easiest and most comfortable option. 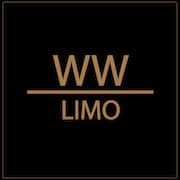 WWLIMO is the lead Atlanta limo company.WWLIMO specializes in party bus Atlanta, limo service Atlanta, limousine service Atlanta. Whether you need airport transportation from Hartsfield-Jackson Atlanta International Airport, a party bus to drive you from one club to the next or a town car service to drive you to every point of interest, see everything the right way — from the seats of WWLIMO.